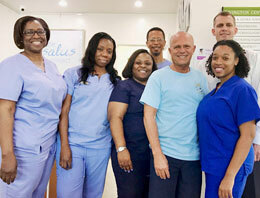 Nassau, The Bahamas - Bahamians and legal residents who have enroled in NHI Bahamas will now be able to access laboratory services as part of their Primary Care benefits. 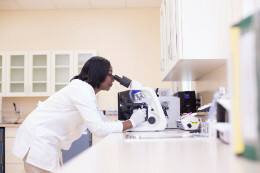 With NHI Bahamas, persons will no longer have to pay for certain lab tests, including some blood tests to check immune function, blood sugar, cholesterol, hormone levels and organ function, as well as blood tests for HIV and blood disorders like sickle cell anemia. Persons in Grand Bahama who enroled for NHI Bahamas are being matched with Primary Care providers and are starting to receive care. The progress of NHI Bahamas was marked today by one of the first patients in Grand Bahama visiting their selected doctor and receiving care at no cost at point of service. 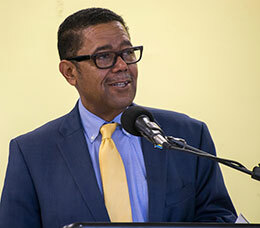 Phase three of NHI Bahamas – Primary Health Care Coverage – is officially underway and is making health care more accessible to Bahamians across the archipelago. The theme for the meeting is: ‘Sustainable Financing of Universal Health Coverage as an Essential Component for Global Security including the Reduction of All Forms of Violence’. 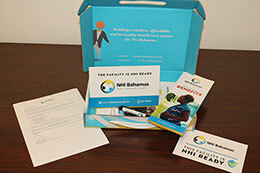 Tomorrow, enrolment for NHI Bahamas will launch, bringing Bahamians one step closer to receiving Primary Care services at no cost at point of care. 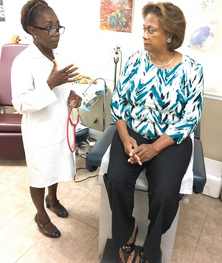 During the enrolment phase, Bahamians select their preferred doctor who they will receive Primary Care services from once that phase of coverage begins. The Ministry of Health advises that the public health clinics in New Providence can be selected as primary care providers for NHI enrolment. Enrolment begins April 24, 2017. You can register at South Beach Health Centre, Elizabeth Estates Clinic, Flamingo Gardens Clinic, and Fleming Street Clinic. 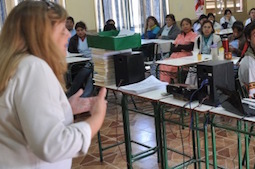 Washington, D.C. - The Pan American Health Organization (PAHO) is inviting entries for a contest that will recognize outstanding health promotion practices developed by cities, schools, universities and institutions of higher education in the Americas. The Significant Experiences in Health Promotion Contest will accept applications through May 12, 2017. Through the new working arrangement, Dr. Harold Munnings and Dr. Flloyd Carter of The Centre for Digestive Health are able to make their services more accessible to people on the western side of New Providence. Specialist consultations, colonoscopy and other services are available. Following round one of Primary Care Provider registration, which closed on March 31st, over 60 physicians in the private sector have applied with NHI Bahamas and are looking forward to providing Primary Care services to Bahamians. These numbers will be further augmented by Primary Care Providers in the public sector, across the country, from the Department of Public Health and Public Hospitals Authority. The Ministry of Health, in collaboration with other government agencies, is currently dispatching a team of persons into various communities throughout The Bahamas to conduct a national household drug survey during the months of February and March 2017. The purpose of the survey is to determine the extent of drug use among persons 12 to 65-years-old in the population. 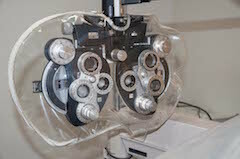 Effective Monday January 23rd, 2017, the Princess Margaret Hospital’s Eye Care Clinic will be open to the public at its new location at #26 Soldier Road. The seven thousand six hundred fifty (7650) square foot complex formerly occupied by Eye World (adjacent to Lowe’s Pharmacy) was acquired by The Public Hospitals Authority on January 10th through a five (5) year lease agreement. The implementation of an Integrated Health Information Management System (IHIMS) at the public healthcare level in The Bahamas, has the potential to “fundamentally change” the public healthcare system’s approach to service delivery and care. 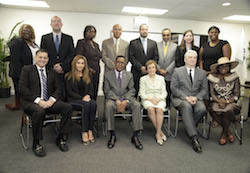 Public healthcare officials said patients across the Commonwealth of The Bahamas will “directly benefit” from the implementation. Officials of the Public Hospitals Authority (PHA), the Aidan Roger Carron Foundation and the Tribune Media Group have entered into a public/private partnership that is expected to catapult the local public healthcare sector into the stratosphere of medical research – particularly in the area of life threatening auto-immune diseases and protocols in infants and children. 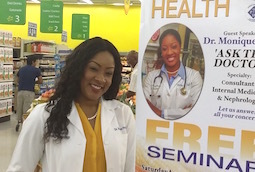 Freeport, Bahamas — During the Solomon’s Lucaya’s Let’s Talk Health series held last month, local physician Dr. Monique Pratt answered one-on-one questions from participants in the free, in-store session. The Ministry of Health wishes to update the public that as of 30 th August, 2016 a total of eight (8) confirmed cases of Zika have been recorded on the island of New Providence. All of those cases were provided medical attention after presenting with symptoms suggestive of Zika virus infection. Based on the histories of the cases presenting, it has been determined that there is a mix of travel associated and local transmission. The only feeling better than being at home, is feeling like you never left. 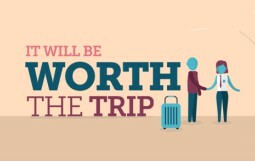 Deciding where to get your medical care is one of the most important decisions you will make. 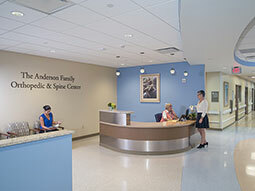 Now you can choose world-class care and recovery in a setting that offers you all the comforts of home—and more—at Jupiter Medical Center, in the tropical destination of Palm Beach County, Florida. The center’s facilities combine a luxurious wellness experience with expert care in the renowned specialties of orthopedics and oncology. 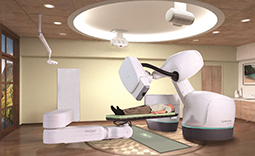 When it comes to these specialties, the hospital is at the forefront of innovation with its cutting-edge CyberKnife® M6™ radiation technology and advanced orthopedic procedures such as limb lengthening surgery. It is the one word no one ever wants to hear their doctor say — cancer. 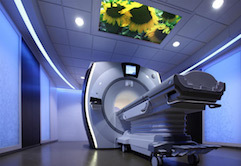 The good news is that with proper interventions, a growing number of patients can now continue to live full lives following their initial diagnosis thanks in large part to the new medical technology and treatments now available.